This resources is outdated and unmaintained : it won't work with recent version of Krita. Check the download category to find the most recent brushes. I like to take care of my brush preset. As a proverb in France say ; "Un bon artisan prends soin de ses outils" ( can be roughly translated by "a good worker take care of his tools" ). So, here is the new pack of my presets ( reworked, cleaned links, cleaned dependencies , new icons ! 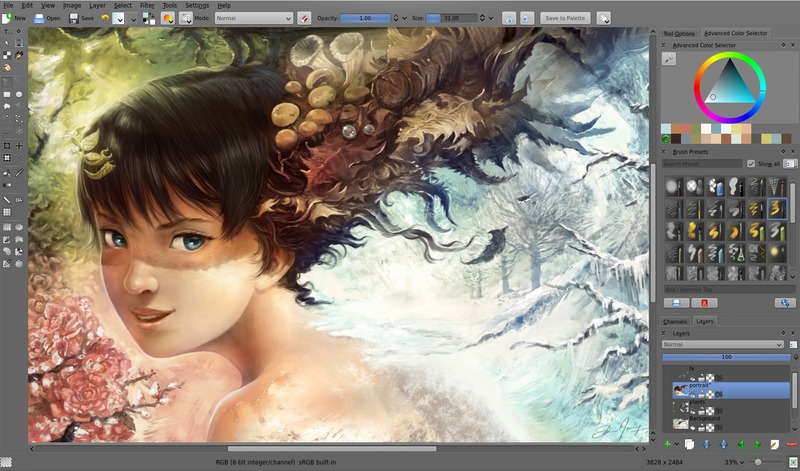 ... what a work ... ) compatible with the upcoming Krita 2.6 and the dev version of course. I also added presets for the Texture option available in Krita 2.7 (dev) and later. Example based on picture, scrap, sketches,test found on my disk. I pasted on the top the brush used to give you an idea of the rendering. A mix of preset ; a dulling brush with soft bristles, splatters textures and experimental brush. Various demo of 'ready-made' pattern : clouds, grass, herbs ... I tend to less and less use this type of brush. My preset don't use all 'brush-engines' proposed by Krita, only the one useful for my workflow and own preference. Uninstall notes : Brush have deevad_* as filename prefix , you can easily identify them in your folders and erase them manually. mentioned at the end of the article, 26 january 2013 .
very nice brushes it -- it would be great to get things so that get new hot stuff, unpacks the brush files correctly. I still haven't gotten around to using Krita, have to do so. Nice brushes, especially the bristles. I just start use Krita (from debian unstable repo), and can't set a favorite brush preset (http://timotheegiet.com/images/krita/07-FavoritesPopup.png). Can anyone explain to me, how to do it? @kot-barbos : thx for the feedback ! for setting a favorite in the pop-up right click palette, use the 'save to palette' button on the toolbar. A dialog will appear to setup it. Hi! Congratulations on your site. You draw some beautiful stuff! I recently discovered the wonders of foss, moved away from windows, and started playing around with the gimp. Last week I decided to buy a graphic tablet, and start learning a bit of digital drawing in my spare time. Since you use these foss programs professionally, I was wondering if you could recommend me some documentation to get started, like books on drawing, on the software.. I have watched tutorials on youtube, but I would like to fully understand the software's capabilities, and not just learn how to do a glossy button on gimp. Btw, I am most interested in Krita. It feels fantastic! @Pedro : Hi Pedro, thanks for the feedback. 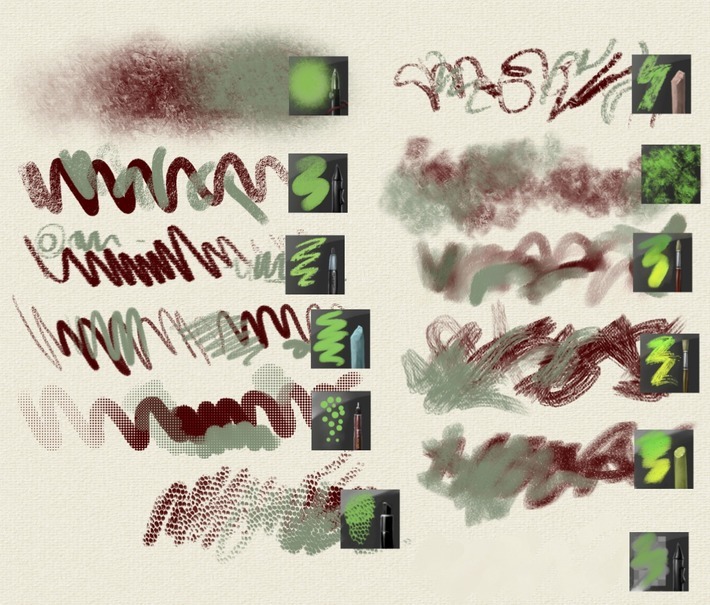 For the moment, there is a lake of documentation in general for digital painting. You can find of course the 2 DVD I did at the Blender e-shop ( or for free read them as Youtube video on the tutorial section of my website ) and you can also see the DVD made by Animtim for Krita and comics ( link/info certainly on Krita website ). 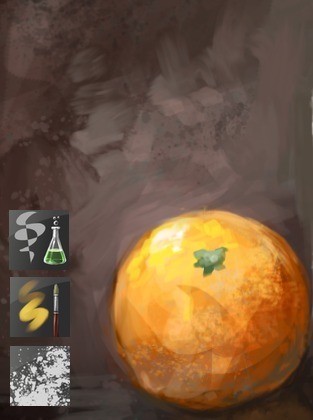 For Foss, you can also learn them by looking on youtube tutorial made with proprietary softwares, http://www.ctrlpaint.com/ is a good website with basics about digital painting with Photoshop. User with Mypaint, Krita or Gimp can reproduce 80% of the tips of the video. The 20% laking are feature you can do differently. I also think I will start to prepare a DVD about Krita soon ( autumn ) , but it still abstract in a way, and I didn't started to think of it seriously. I'll stay tuned for future updates! Please, do keep the great work coming! Pedro, Chaos & Evolutions DVD training dedicated painting with Gimp, MyPaint, some Alchemy, but not a Blender. "I also think I will start to prepare a DVD about Krita soon ( autumn ) , but it still abstract in a way, and I didn't started to think of it seriously". That would be really cool David :D I started to use Krita on Windows and I'm looking forward to learn how to use it better and practice more. Hi David, thanks for sharing this. And I too think it a cool idea for a future Krita DVD :-D I bought your 2 DVDs last year and found them very educational as I was a newbie to linux and digital painting. Krita development has progressed quite a lot on both Linux & Windows this last year and more people need to know of it's existence! @Shaun :Thanks for your feedback. Yep, a Krita DVD is a project I think more and more. David! Thnx for your work! Can you sent for me your shortcut keys for gimp,mypaint and krita in kde (wacom intuos 4) please? Thanks for this new brushset! 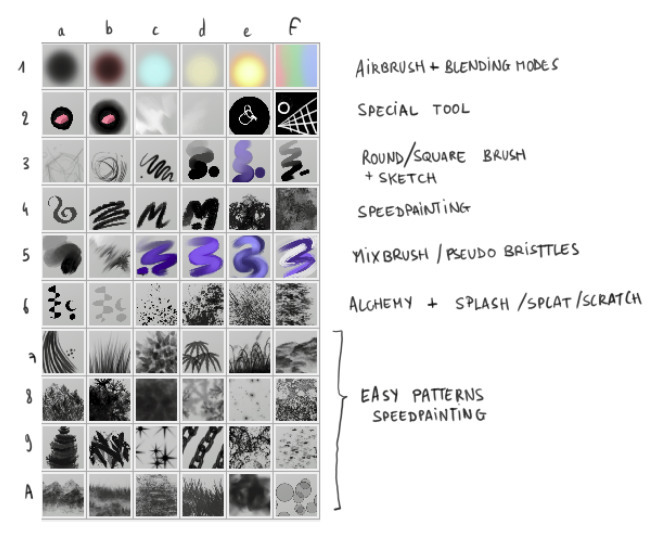 I am looking forward to trying them all out, especially that experimental brush that looks like it does what Alchemy does ;) Once again, you have made a significant contribution to digital foss art! 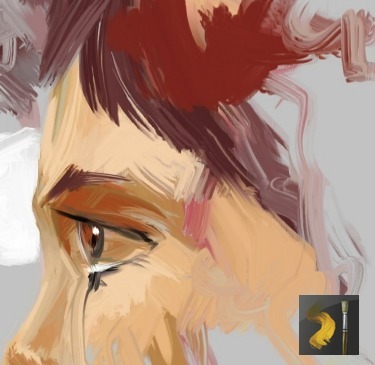 @Dave L. Johnson : :) the experimental is indeed similar to the alchemy brush ; it was added by Lukáš Tvrdý on Krita at version 2.3 :) In post next series ( 2.6 ) the experimental brush get a boost on performance and is now usable in production. @Mery Alison Thompson : Hey Mery ; thanks for the feedback ! Thanks David, i fixed it, my fault! @Riccardo Bocci : Good ! thanks for reporting it worked :) I added the picture to the article 'install' part for less confusion. Love all your brushes. 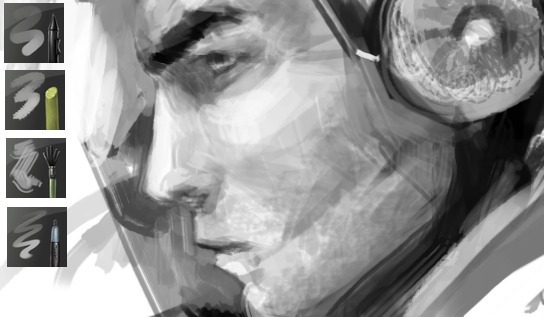 Your speedpainting brushes always breaks the status quo when i'm on an empty canvas. Your brushes played an important part when I switched from Photoshop to Krita. I felt at home directly when I started painting with the brushes. Made by artist for artists. impressive work on icons. i am curious how you did it. I found really hard to create custom icons well detailed. Downloaded the brushes, i hope to test them these days and let you know. Thanks for the hard work. David, i changed my Linux Distribution and now im not under debian/ubuntu, i compiled pretty well mypaint on GIT , but i have problems with Krita, being unable to compile it alone (without calligra).. Is there any way to do it? @Ramon Miranda : Thx! in master 2.7pre-alpha, Sven and Boud fixed the opening of *.kpp as image in Krita. So you can open each *.kpp as a picture and take time to edit. There is also a new feature to clean old backup revision of kpp in edit > ressources. This 2 points make it easier, way easier. But still around 2 or 3 days of work around it , to make the pack beautiful and also the preset adapted and reduced to the strict one I use. @Riccardo Bocci : yes, there is a way to compile only Krita & Karbon together with a flag -DCREATIVEONLY=ON ( but you keep the source of whole calligra ) . When configuring it. thank you David, it's working flawlessy now under fedora 18! Oh, do you know any good drawing/sketching book for a guy doing elementary school? Impressive work as always David. Your preset icons are really well done and illustrative. 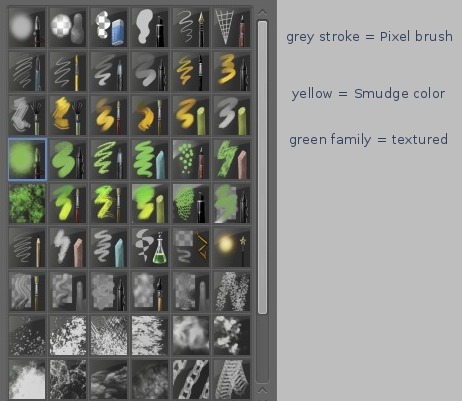 I'd like to try your texture presets "green family", but it seems your download link is for the previous v2.0 preset which doesn't have them =(. @Riccardo Bocci : Thanks ! About the book , the one I know are pretty technical. For younger audience, I think the series of Tom Bancroft books about character can be good. Hmm I just updated Git Master and I downloaded the 'Texture Additional Pack'. 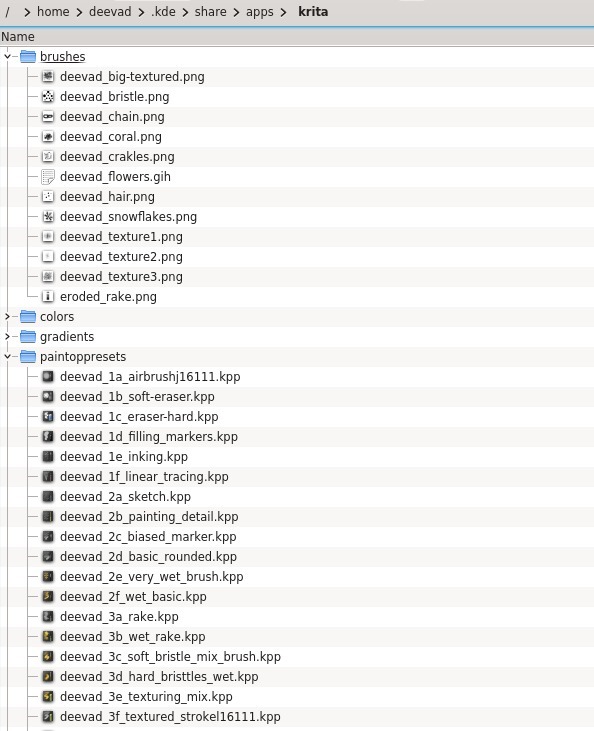 There are 25 texture maps in PNG format, but no *.kpp? These are the same texture maps in your previous blog post titled "Texture pack 1". I still don't have the green icons =( I think I must have misunderstood your instructions? Or maybe you have linked to the 'wrong' file on this page? @Shaun : No , you didn't misunderstood , I just checked again and the fault is mine ; I selected the wrong link in my 'document manager'. Sorry about it, and thanks for helping me to fix it with your feedback. Thanks David! Works like a charm now. i have a cheap wacom bamboo fun tablet and i have 4 tablet buttons + 2 stylus one. 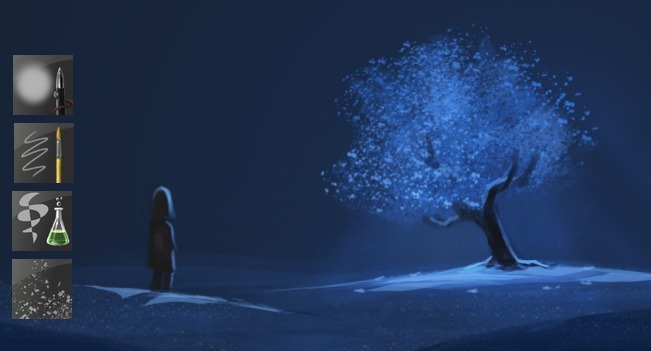 Could you suggest me what would be a good setup in order to use them as shortcuts in Krita?? Hey, no problem. 4 buttons is enough. bottom one : Here I use 'Control' , I like to pick color this way while painting. Salut David je ne connaissais pas krita 2.6 je cherche sur le net un petit probleme que j'ai avec krita c que quand je dessine les lignes suivent le curseur sans arret "BUG?" Intuos touch 5 y a-t-il un rapport avec mon probleme? I came to this site from your timelapse of the dragon princess. Your work is amazing! And Krita looks also like and amazing tool. Hey David! Thanks for all your work that makes all those FLOSS painting tools so much fun to use for us hobbyists. 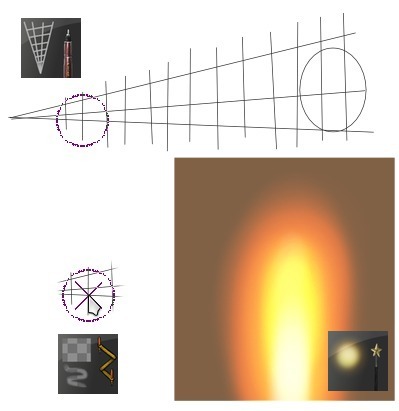 One question about your wonderful brush icons: Is it in some way possible to edit the brush icons outside Krita's brush editor? I'd like to modify my own brush preset icons to give them a consistent look. If I just simply open them (PNG), edit and save them again, they won't work as a brush preset any more. @Ludwig : Hi ludwig, thanks for the comment about FLOSS. For Krita brush preview, yes *.kpp files are *.png with the preset embeded as DATA. Most of other software don't respect the DATA field of PNG file format specification and erase it unfortunately. On Krita dev ( 2.7 pre-alpha ) you can open the Kpp in Krita to edit the preview. Thats how I did. 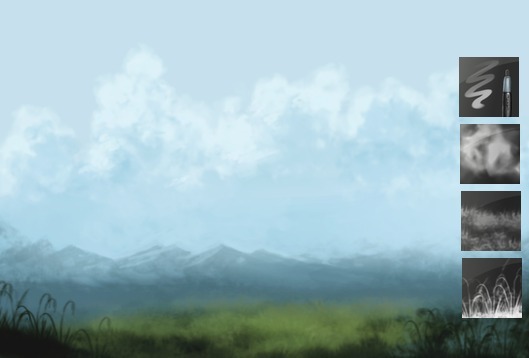 I prepared a background 200x200 images, then I drag and droped on Krita 'insert as a layer' for having same background. Then I painted the icons. No way to make those 2.7 brushes work in 2.6? when 2.7 official is coming out? @EscapedNight : Hey ; they work in 2.6 , just you may have different result with the row of 'green' stroke one ( with texture ). Other should be exactly similar. 2.7 is still in dev, and scheduled for summer. @Jai : Hey ! thx for the feedback. OpenSuse is a fantastic distribution , and I keep an eye on it. For the moment I'm keeping Ubuntu based distro because I'm used to 'apt' and also Mint default settings. @David REVOY: Thank you for the brushkit and inspiration! hello, how to install in windows version? Many thx David your brush are very good, like mypaint. Thank you for making your presets available! Sadly, I can't download "+ Additional textured preset ( Green family )" and "Texture pack". I get a "404 page not found" error. Thanks for the excellent brushes! 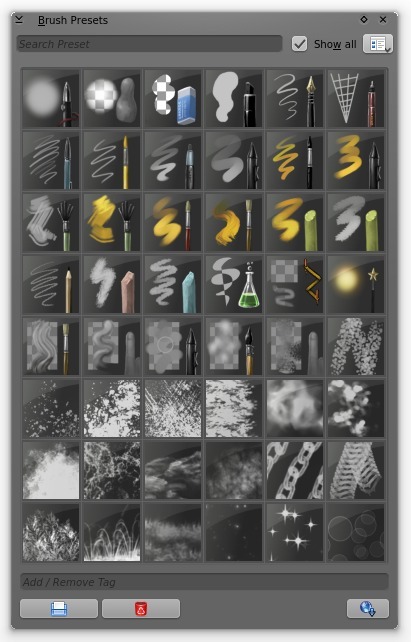 How do I access the recent used brushes? There's something like that in MyPaint. Many thanks for taking the time to provide us with these wonderful brushes. 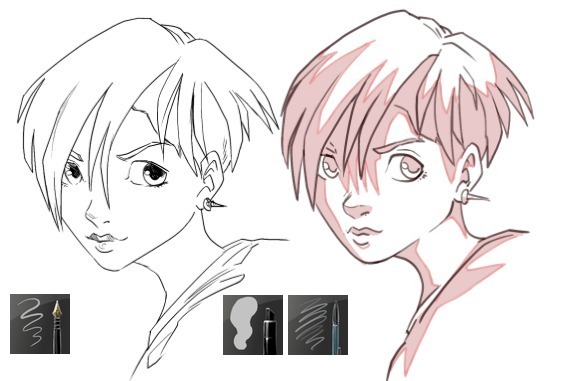 These look like great brushes, but I'm having trouble with the file. is it because the file is only designed for Linux? Because I'm using the Windows version of Krita instead of the Linux one. 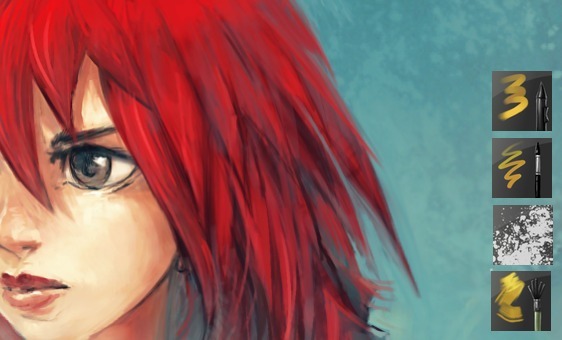 @Mim : Windows and Linux version should behave the same in regards those brushes. But I have no idea where on Windows the preference folder of Krita is. Cyril said on previous comments it's on C:\Users\YOURUSER\AppData\Roaming\.kde\share\apps\krita ( for MSwindows 7 ). Bravo pour ton excellent kit de brosses que j'utilise régulièrement. La version 2.7 est installée sur mon PC depuis aujourd'hui. Malheureusement, certaines brosses de ton kit ne semblent pas fonctionner (j'obtiens le même motif moucheté pour chacune et une croix rouge est présente en bas à droite de chaque icone concerné). Les brosses concernées sont : 3xp_pastel, 3xr_pattern_texture, 7d_smoky_texture, 7f_rythmed_pattern et 8d_starfield. Ces brosses sont bien installées comme les autres et fonctionnaient très bien avant. D'où viendrait donc le problème ? Thankyou very much! i´ve been using your´s sets since the early versions of myPaint and i have to say they are awesome. files were corrupted. Is there a mirror or another way to download them? Thanks again, you´re very kind sharing your tools. @Samuel : Hey ! Yes, the Kit 2.1 got some corruptions because it was linked to internal ressources who get renamed by Krita development team. Unfortunately , I can't fix those brush now ; the dependencies are too complex to find the missing files. Please fill a bug report about it, some missing link might be related to Windows version too. Thanks for the feedback ! @Samuel : Cool ! thanks for letting me know about the problem and about the way it was solved. May 2014 be the best year yet for everyone!